The Staff at The Tarbay Centre are dedicated to your dog's health and well being. 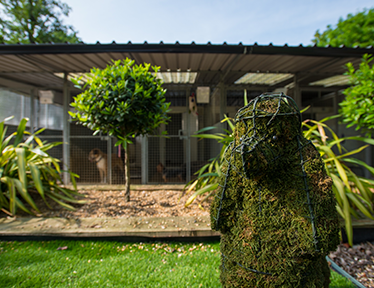 All of the runs in our kennels are covered to keep the dogs out of the elements. 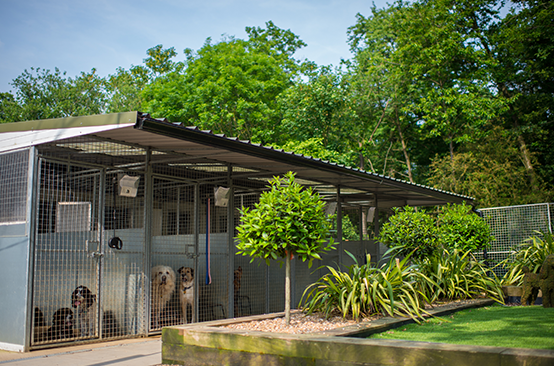 Regular exercise in our five secure exercise paddocks is provided for all dogs during their stay. This gives the dogs a chance to stretch their legs and also socialise with other dogs. All the dogs are fed our premium blend of hypoallergenic food unless other arrangements have prior been arranged (Please speak to a member of staff for details). At the end of the day they are tucked up at 9pm, ready for the next day’s adventures. Insulated night beds that are heated in the winter and air-cooled during warm summer nights. There are also a range of yummy treats that all our guests are privy to. If you are comfortable to bring your own treats we also encourage this. If you have any questions or would like to speak to a member of our team please do not hesitate to get in touch. 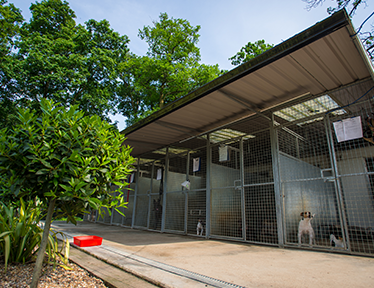 Recently our kennels and cattery have undertaken massive improvements. This is to insure all of our guests have the most comfortable and happy stay as possible. 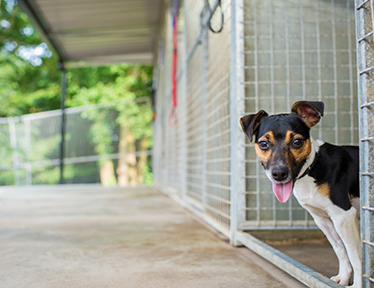 We understand that leaving your pets welfare in the hands of others is no easy undertaking. 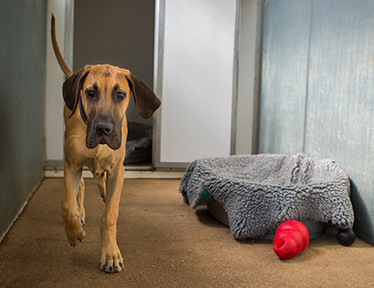 The Tarbay Centre aims to give your pets a home from home feel. 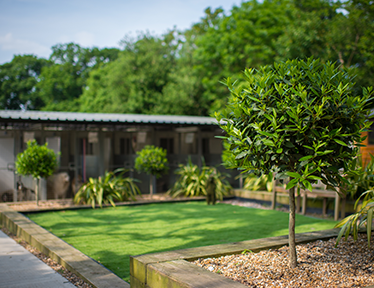 If you are still unsure about bringing your pets to stay we welcome you to come and take a look at our facilities. Our staff are always at hand to answer any questions or concerns you may have. Team are raring to get started and initially let all the dogs out (individually) or with a paddock buddy to do their morning business. Breakfast is served. We can cater for all types of discerning guests however we find most tuck straight into the hypoallergenic range of food usually on the menu we can also make sure your pet gets fed their usual food if you would like to supply. Double check and Medication time – the team are trained and happy to administer any lotions and potions as required. Deep clean and exercise time – whilst the dogs are happily romping and playing in the exercise paddocks the other team members get hard to work deep cleaning their rooms, replacing freshly laundered fluffy fleeces, changing fresh water bowls inside and out, disinfecting all areas, sweeping to remove any excess water and completing the school report on a daily basis. Noon we allow the team a short break before we start with washing up, deep cleaning the kitchen areas, getting the washing on, getting paperwork prepared and generally having a good tidy up. Dogs usually sleep for 14 hours a day so this allows some quiet time when the lights are dimmed, background music is on and a few moments to nap before the afternoon adventures. Wakey wakey its exercise time again usually followed by much excitement. The afternoon shift is the teams favourite as its 2 hours of cuddling, ball throwing, playing, jumps, hoops or just tummy tickling and then more ball throwing. It’s the afternoon team arrival time and we have a good handover discussing all sorts including anyone who may not have eaten their breakfast or who particularly likes those extra tummy tickles. Double checking any medication required and any new arrivals or departures for the rest of the day. Dinner time of yummy treats and we wait for an hour to ensure their meal has settled which allows the team time to do yet more deep cleaning. play time again and the evening shifts job description is to play with the animals – nice work and loved by all but we spend time to get to know your pets and ensure they get our undivided attention to whatever their whim – the collies spend their full time chasing balls. Before letting them back into their own rooms we do everything but the turning down the sheets but we check water inside and out, a little clean around and check the bedding . Most other kennel teams have packed up and gone home by now. 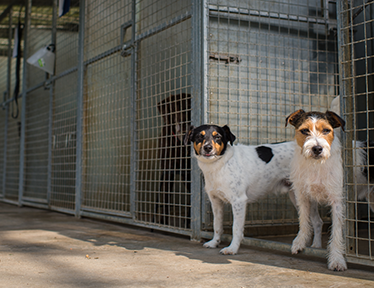 (9pm in summer) lights out – the team go around and check again and personally get each pet into bed – we don’t have remote shutters but walk in with the dogs to make sure they are settled. A tasty bone usually is all the incentive needed before we put the shutter into the night bed. We do this to ensure we can keep your pet in the warm and also it helps settle them. We play background music just to minimise any natural sounds. This is where we truly benefit from our location by not been next to any road traffic noises. And then we start again the next day rested and ready. Our new cattery is situated further away from our kennels. They are better insulated and are substantially larger than the previous ones. Take a look by following the link below. Recenetly we have also undertaken some major changes to our paddocks and surrounding areas. There are now five excercise areas, including a seperate area for smaller breeds of dog.